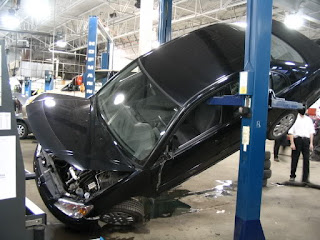 What if you used the wrong oil for an oil change? You need to take note of the disadvantages of biodegradable lubricants. Why’s it important for industry to consider the disadvantages of biodegradable lubricants? Even though there’s a very strong case to made in favour of biodegradable lubricants in several industry segments, they can only come into their own if the disadvantages of biodegradable lubricants and oils are fully understood. What happens if you use the wrong oil for an oil change? With the plethora of oils available it’s not uncommon to use the wrong oil for an oil change. But the consequences may be found in unexplained equipment failure you’ve had: Has the question “I wonder if this is the right oil” ever been asked? If so you know exactly what we’re talking about. Beware, Extreme Pressure Oil Additives Can Damage A Gearbox! Did you know that extreme pressure oil additives can damage gears. Whilst extreme pressure oil additives can damage gears they are vital for the effective performance of any Gear oil, but there are some critical negative effects if not used discriminately. Extreme pressure oil additives offer a wide range of benefits, but in some circumstances they harm the equipment they are supposed to protect. A good example of how extreme pressure oil additives can damage gears. 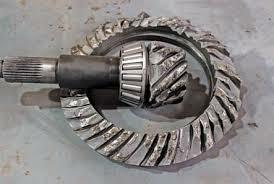 A very common industrial transmission is the worm gearbox. Commonly, these have gears made of yellow metal (typically bronze). Certain extreme pressure oil additives can damage gears by chemically reacting with these softer metals, causing premature wear and even failure. These gearboxes are great for achieving high reduction ratios as well as high torque. And in order to increase either of these values, the worm wheel is made larger in diameter. The larger the circumference the worm wheel has, the greater the speed reduction and the greater the torque imparted through the exit shaft, and it’s under these conditions that extreme pressure oil additives can damage gears. Obviously the loading and pressure on these components can be very high, prompting many people to opt for extreme pressure oil additives. The reason certain extreme pressure oil additives can damage gears in this application. Generally, the worm is made of steel, while the worm wheel is made of a yellow metal. However, in some cases, both the worm and worm wheel are steel; or they both may be yellow metals: And the worm is always harder than the wheel. Yellow metals, as the name suggests, are yellowish in color. They are alloys that contain copper. A standard definition would be a type of brass having about 60 percent copper and 40 percent zinc. Bronze is another type of yellow metal. These metals have been used for centuries to form gears and other components of simple machines. However extreme pressure oil additives can damage gears made from these metals so should be with extreme caution. The problem is that many extreme pressure oil additives contain a form of Sulphur, which will react with the yellow metal. An easy way to determine which form of sulfur is being utilized to ensure extreme pressure oil additives don’t damage gears. Two different types of sulfur may be used within these extreme pressure oil additives which can damage gears. The first type is active sulfur. Sulfur in its active state readily reacts with metal surfaces to form a ductile metal soap that is sacrificial and allows opposing surfaces to contact one another with minimal damage. Active sulfur is chemically aggressive, and with yellow metals being softer than steel, they can begin to pit and form spalls due to this chemical attack. If used these extreme pressure oil additives can damage gears. The second type of sulfur used within extreme pressure oil additives is inactive sulfur. It is less likely to bond to surfaces and react chemically. The best way to judge whether the form of sulphur in the extreme pressure oil additive can damage gears, is to look at the results of the copper strip corrosion test (ASTM D130). In this test, a strip of copper is immersed in the fluid to be tested at 40 degrees C and again at 100 degrees C. The strip is removed after each test and checked for staining of the copper. The results range from, very little to no staining, all the way to very dark stains. If the results are in the darkish area, then the yellow metals in your worm gearboxes could be at risk of chemical attack. Active sulfur in some extreme pressure oil additives react with the copper within the brass or bronze. Sulfur, when in contact with copper along with the presence of heat, forms copper sulphide which means that extreme pressure oil additives can damage gears. This simple chemical reaction can have devastating repercussions on the reliability of machines. In extreme pressure situations, copper disulfide can be formed. Both of these crystalline forms of copper are very hard and can cause abrasive damage to soft machine surfaces. By understanding some simple chemistry and reading the product data sheets of the EP gear oil you put into your gearboxes, you can increase reliability. For peace of mind, contact Habot Oil about our synthetic gear oils. Our engineers understand that extreme pressure oil additives can damage gears. Or, if you have any questions about extreme pressure oil additives in gear oils give us a call. Are engine oil change intervals affected by a waning motor oil base number? 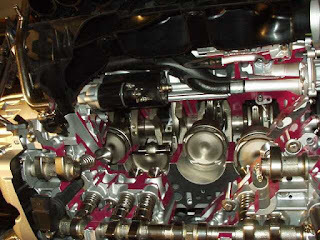 Your engine oil change intervals are affected by a waning motor oil base number. It’s important to understand how engine oil change intervals are affected by a waning motor oil base number: with increasing oil and filter prices, and the cost of repairs, ignoring this can be very expensive. 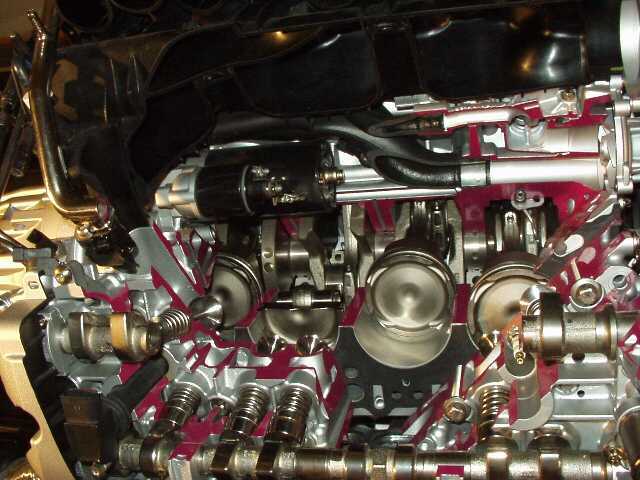 How are engine oil change intervals affected by a waning motor oil base number?